My name is Richard Martinez and thank you for following Vavel USA's NBA draft coverage. Good night. What a great night this was. There were plenty of excitement surrounding trades and final destinations players were chosen to. No doubt that the league will be full of bright young stars this coming season. Looking at the remaining free agents, there is still plenty of talent out there. 1) Malik Newman 2) Trevon Dural 3) Rawle Alkins 4) Gary Clark 5) Allonzo Trier 6) Theo Pinson 7) Dj Hogg 8) Billy Preston 9) Keenan Evans and 10) ​Kenrich Williams make out the free agent top-10. With the 60th and final selection of the evening, in a trade with the Dallas Mavericks, the ​Philadelphia 76ers will select Kostas Antetokounmpo, small forward out of Dayton. The brother of the "Greek Freak" Giannis Antetokounmpo. Though his numbers were a bit misleading in college, Kotas has the potential to reach the level that his brother Giannis plays at. Only time will tell. With the 59th pick, the Phoenix Suns select small forward George King out of Colorado. King is a big, strong forward that can shoot the basketball. He was all coached during his time in Colorado and has the ability to contribute right away if the Suns elect to add him to the roster versus sending him to the G-League. With the 58th pick, the Denver Nuggets select center Thomas Welsh out of UCLA. Hervey brings length, tremendous scoring instincts and a versatile shooting stroke from deep. He's a threat spotting up from three-point land in transition, he can pick-and-pop to space in the half court, he's capable of shooting off the bounce if run off his spots and he can punish a switch in the mid-post with face-up jumpers. With their second pick in the draft, the Oklahoma City Thunder will use the 57th pick on small forward Kevin Hervey out of UT-Arlington. With the 56th pick, the Philadelphia 76ers will pick Louisville power forward Ryan Spalding. The 6'10" forward lead the Cardinals in both rebounds and steals per game last season. The Charlotte Hornets elect to draft Lithuanian small forward Arnoldas Kulboka with the 55th pick in the draft. His situation is unique as he signed a long term deal to play in Germany. Following a great showcase, he caught the eyes of NBA scouts. He will likely play in Germany for the next two years before coming to the NBA. With the 54th pick, the Dallas Mavericks select SMU point guard Shake Milton. With the 53rd pick, the Oklahoma City Thunder will draft Virginia point guard Devon Hall. With the 52nd selection, the Utah Jazz select Vince Edwards, small forward out of Purdue. The Jazz will trade this Edwards to the Houston Rockets. With the 50th selection in the draft, the Indiana Pacers selected Alize Johnson, power forward out of Missouri State. With the 51st pick, the New Orleans Pelicans selected Penn State point guard Tony Carr. The San Antonio Spurs elect to draft Chimezie Metu, center from USC with the 49th pick. The Minnesota Timberwolves will select Keita Bates-Diop with the 48th pick. This pick has great value late in the second round. The Ohio State small forward that can shoot and rebound very well. He will be a great role player as Minnesota looks to return to the NBA Playoffs in the 2018-19 season. The Los Angeles Lakers will select Kansas shooting guard Sviatoslav Mykhailiuk with the 47th pick. With the 46th pick, the Houston Rockets select USC point guard De'Anthony Melton. Melton is not really a good shooter but can distribute the ball really well while playing great defense. A very good athlete and a very good pick in the middle of the second-round for the Rockets. With the 45th pick, the Brooklyn Nets select Hamidou Diallo, shooting guard out of Kentucky. For now, Diallo is a member of the Nets, however, a trade could sent Diallo to the Charlotte Hornets. With the 44th pick, the Washington Wizards select Ukrainian point guard ​Issue Sanon. With the 43rd pick, the Denver Nuggets select Justin Jackson out of Maryland. When healthy, the small forward is a solid athlete that can run the floor and shoot from just about anywhere. With time he could develop into a solid player for Denver. With the 42nd pick, the Detroit Pistons selected Miami shooting guard Bruce Brown. With the 41st pick, the Orlando Magic select Jarred Vanderbilt, power forward out of Kentucky. With the 40th pick, the Brooklyn Nets select Rodions Kurucs from Latvia. Breaking: Gary Trent Jr. has been traded by the Sacramento Kings to the Portland Trail Blazers. Portland will send Sacramento to two future second-round picks. With the 38th and 39th picks, the Philadelphia 76ers select Khyri Thomas out of Creighton and Isaac Bonga out of Germany. With the 37 pick, the Sacramento Kings select Gary Trent Jr. out of Duke. 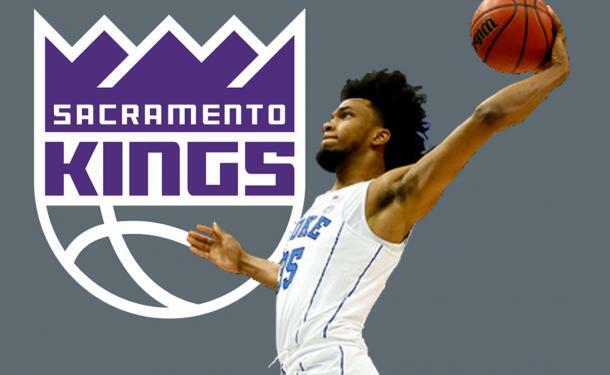 He is the second Blue Devil that the Kings have taken, drafting Bagley earlier in the evening. With the 36th pick, the New York Knicks draft center Mitchell Robinson. The high school prospect has some size and will work well with forward Kristaps Porzingis. With the 35th pick, the Orlando Magic select Melvin Frazier, small forward out of Tulane. With the 34th pick, the Atlanta Hawks pick Kansas point guard Devonte Graham. The Hawks have now added two point guards, a shooting guard and a power forward. With the 33rd pick, the Dallas Mavericks elect to draft Villanova point guard Jalen Brunson. With the 32nd pick, the Memphis Grizzlies select West Virginia point guard Jevon Carter. Carter is a two-time Big-12 Defensive Player of the Year and projects to be a future All Star. With development and time, this could be another draft steal. With the first pick in the second round of the NBA Draft, the Phoenix Suns select Elie Okobo, point guard out of France. With the 30th pick, the Atlanta Hawks select power forward Omari Spellman, power forward out of Villanova. That will conclude the first round. With the 28th pick in the draft, the Brooklyn Nets select Dzanan Musa, small forward for Bosnia-Herzegovina. Like Doncic, Musa has been a great player in the EruoLeague, earning his first start at the age of 15. He has a one-year buyout overseas and has expressed his eagerness to play in the NBA as of now. The Warriors might have done it again. Evans has a strong basketball IQ with the ability to shoot from all over the floor. Learning from Steph Curry, Evans can be a good building block for years to come. 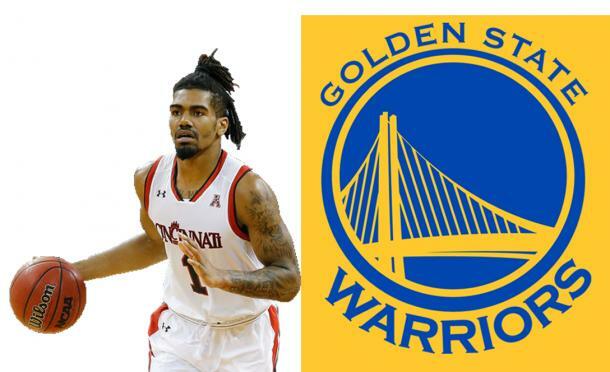 With the 28th pick, the Golden State Warriors will draft Cincinnati point guard Jacob Evans. If he can improve his game on the offensive side of the ball, he will have not problem fitting in to the Celtics rotation while eventually raking over for Al Horford. This could be the biggest steal of the draft. Williams is a psychically dominant big man that can shot block and protect the rim. He possesses great footwork for a players his size that reminds people of a young DeAndre Jordan. 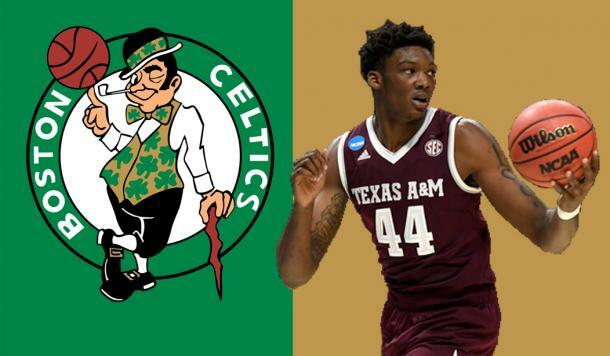 With the 27th pick, the Boston Celtics elect to draft the forward/center out of Texas A&M Robert Williams III. With the 26th pick the Philadelphia 76ers select Landry Shamet, the point guard out of Wichita State. Philadelphia has now added two guards to the roster. With the 25th pick, the Los Angeles Lakers will draft Michigan power forward Moritz Wagner. Wagner is among the best shooting big man in the draft. He will have to become more versatile and athletic to play in the NBA. With the 24th pick the Portland Trail Blazers select point guard Anfernee Simons out of high IMB Academy. Holiday comes from a basketball family lineage. His mother Toya Holiday played for Arizona State, his father played for Shawn Holiday also played at Arizona State. His sister Lauren Holiday played college basketball at UCLA. His brothers Jrue and Justin Holiday are currently in the NBA. 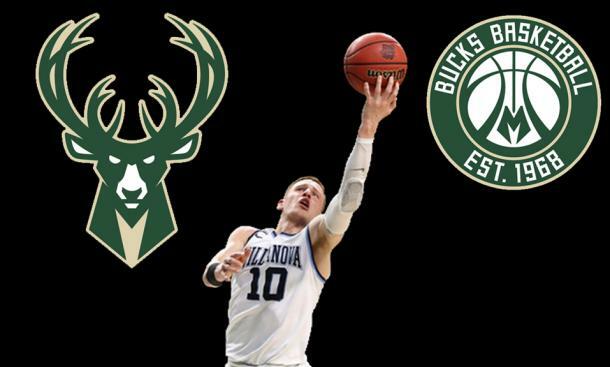 With the Pacers selecting Holiday and the Bucks selecting DiVincenzo, the two teams on Dennis Schroder's have filled a positional need. 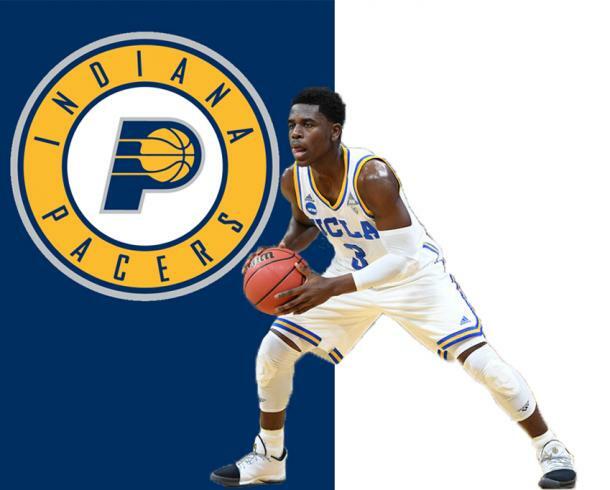 With the 23rd pick in the draft, the Indiana Pacers select Aaron Holiday, point guard out of UCLA. 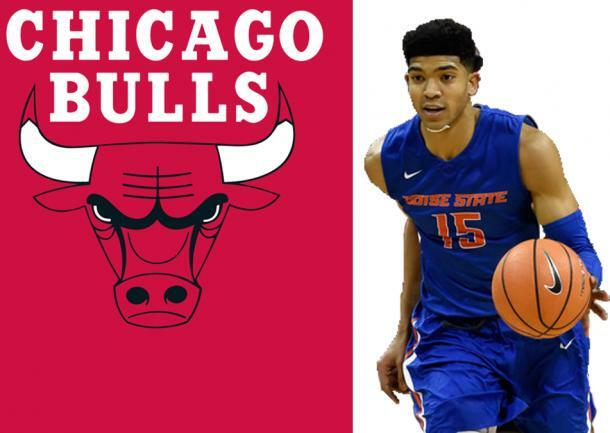 With the 22nd pick, the Chicago Bulls select Chandler Hutchinson, shooting guard out of Boise State. 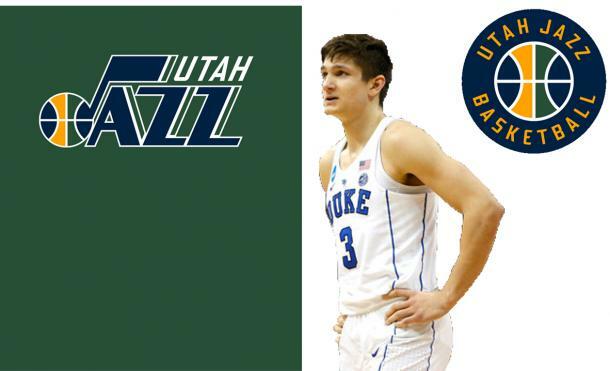 With the 21st pick, the Utah Jazz select Grayson Allen, shooting guard out of Duke. The Jazz just gave Donovan Mitchell some help. Allen was one of the most elite shooters of all of college basketball. He can hit clutch threes from just about anywhere from the floor and will add another piece to the Jazz repertoire. This pick fills a need for the Timberwolves. With Jamal Crawford opting for free agent, Okogie can learn behind Jimmy Butler while taking his time to adjust to the speed and tempo of the NBA. With the 20th pick in the draft, the ​Minnesota Timberwolves will draft Georgia Tech guard Josh Okogie. With the selection of Huerter and Trae Young, it is a foregone conclusion that the Hawks will try to trade guard Dennis Schroder in the offseason. With the 19th pick, the Atlanta Hawks select Kevin Huerter, shooting guard out of Maryland. 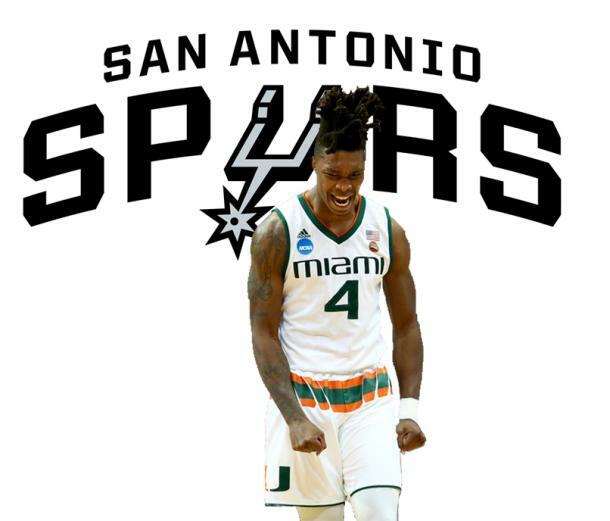 With the 18th pick in the 2018 NBA Draft, the San Antonio Spurs select Lonnie Walker IV, guard out of Miami. Like Porter, Walker's fall was due to injury concerns. The Bucks are putting together a pretty solid roster. Depending on how free agency goes, they could have DiVincenzo, Giannis Antetokounmpo, Malcolm Brogdon and Jabari Parker all on the floor at the same time. With the 17th pick, the Milwaukee Bucks select Donte DiVincenzo out of Villanova. The pick the Suns are going to surrender is the pick they acquired from the Miami Heat, a second-rounder in the 2021 draft. With the 15th pick, the Washington Wizards select Troy Brown out of Oregon. Even if he sits for a year as Joel Embiid and Ben Simmons have in the past, Porter can still be a productive building block for the Nuggets. His upside is well worth the risk for Denver. 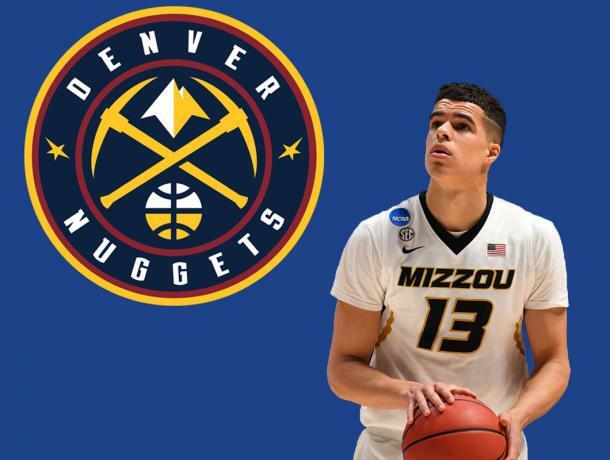 With the 14th pick and final pick in the lottery, the Denver Nuggets select Michael Porter Jr from the University of Missouri. The slide is now over. With Robinson and Gilgeous-Alexander now in the fold, the Clippers backcourt is set for years to come. They could have went in another direction as DeAndre Jordan is set to hit free agency following the conclusion of the 2018-19 season. With the 13th pick in the draft, the Los Angeles Clippers select Jerome Robinson, shooting guard from Boston College. This trade works well for both teams. The Clippers desperately needed a point guard while the Hornets needed to find someone that gives them versatility on both ends of the floor. With the 12th pick in the draft, the Los Angeles Clippers select Miles Bridges, small forward from Michigan State. 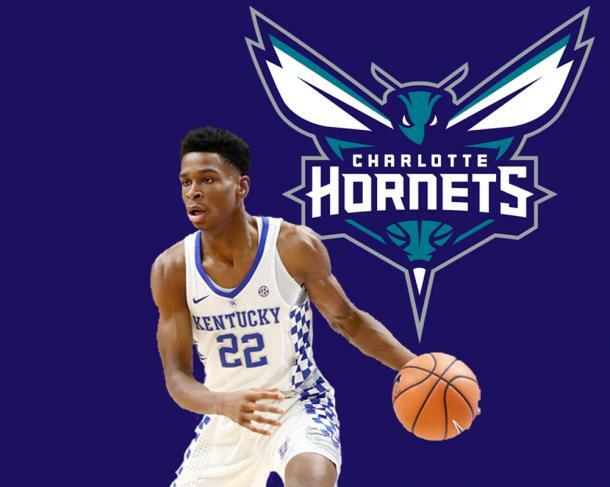 Breaking: The Hornets have traded Shai Gilgeous-Alexander to the Los Angeles Clippers for the 12th pick and two second round picks. With the 11th pick, the Charlotte Hornets select Shai Gilgeous-Alexander, point guard from Kentucky. Breaking: Per Adrian Wojnarowski, the Charlotte Hornets are discussing trade possibilities with the 11th pick. 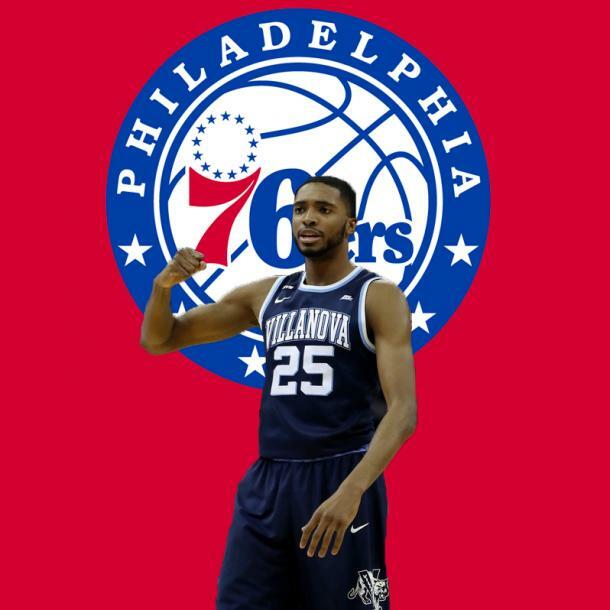 With the 10th pick, the Philadelphia 76ers select Mikal Bridges, small forward from Villanova. You can hear Knicks fans in the arena chanting, "We want Porter!" 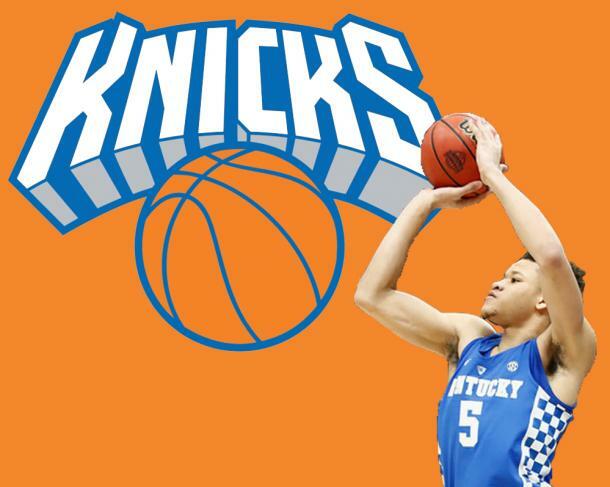 With the ninth pick in the draft, the New York Knicks draft small forward Kevin Knox out of Kentucky. As always, the New York Knicks fans let everyone know how they fell. An ovation of boos filled the arena. Sexton to LeBron: "I know you needed a couple of pieces. Come back and let's do this. Let's do this." Sexton is considered to be the last franchise point guard available on the board. If LeBron James stays and plays with Sexton, they could show shades of the Kyrie Irving/LBJ connection. 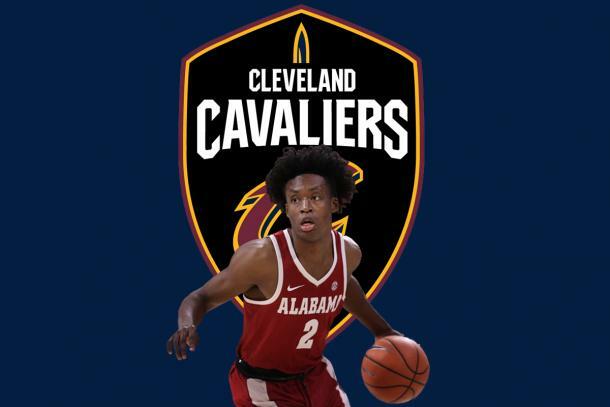 With the eighth pick in the draft, the Cleveland Cavaliers pick point guard Collin Sexton from Alabama. 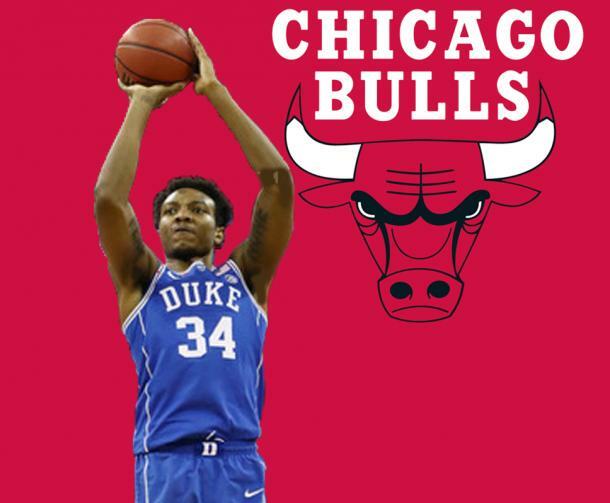 With the seventh pick, the Chicago Bulls select Wendell Carter Jr., center from Duke. 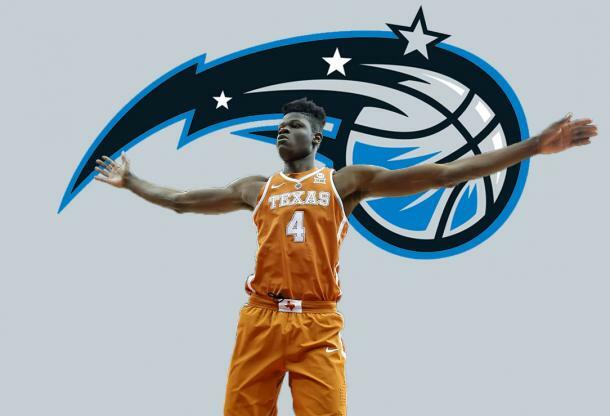 With the sixth pick, the Orlando Magic select center Mohamed Bamba from Texas. With the fifth pick. the Dallas Mavericks select Trae Young, point guard from Oklahoma. If the trade is approved, he will be on his way to Atlanta. 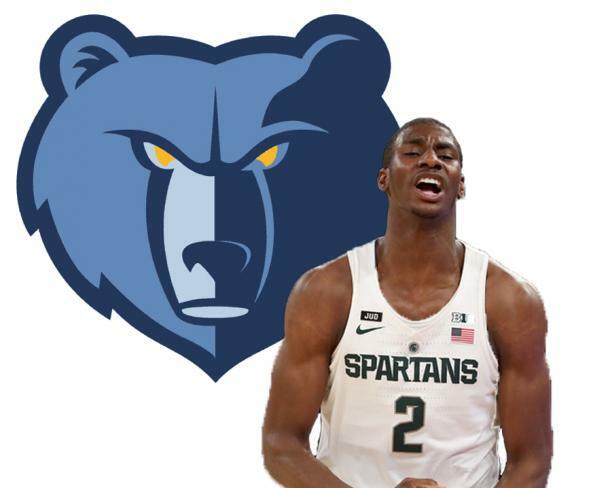 With the fourth pick in the 2018 NBA draft, the Memphis Grizzlies select Jaren Jackson Jr., power forward out of Michigan State. With the third pick, the Atlanta Hawks select Luka Doncic, point guard from Slovenia. He has played with Real Madrid since he was 15-years-old. Breaking: According to Adrian Wojnarowski, the Atlanta Hawks and Dallas Mavericks have agreed on a trade. They'll trade Nos. 3 and 5 picks, sending Luka Doncic to Dallas and Trae Young to Atlanta. Atlanta will also receive a future first from the Mavericks. With the second pick of the draft, the Sacramento Kings select Marvin Bagley III, forward out of Duke. With the first pick in the 2018 NBA Draft, the Phoenix Suns select Deandre Ayton, center out of Arizona. Ayton was named the 2017-18 Player and Freshman of the Year. What a touching moment. All the players in attendance were introduced and walked out with either family or acquaintances. League Commissioner Adam Silver has walked onto the stage with a nice ovation from the fans. He has given a solid speech preparing for the crowd for the upcoming selections. It is now time for teams to make their selections. Rumor: Per Yahoo Sports' Shams Charania, the Mavericks' chase of the Hawks' No. 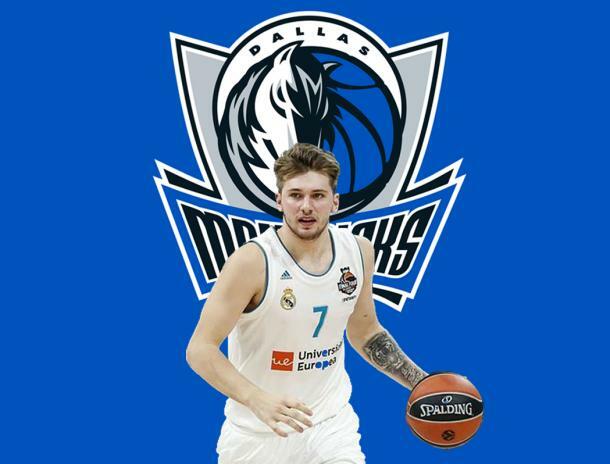 3 pick to select Luka Doncic has lost traction in the last few hours. 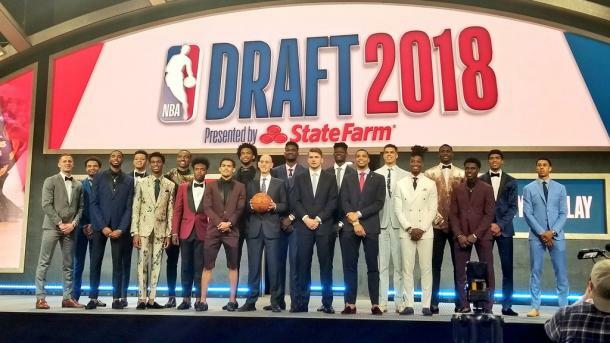 The 2018 NBA Draft is nearly underway! The prospects are in the green room awaiting to hear their names called. Rumor: ‏Jonathan Givony of ESPN Draft insiders has stated that Michael Porter Jr.'s draft stock has fallen drastically. This is due to his health concerns. He predicts that Porter can fall all the to the No. 12 pick. Rumor: Per Sports Illustrateds' Jake Fischer, The Miami Heat are making Justise Winslow available in trade talks. -- Re: Miami does not have a draft pick this year and if they do trade away Winslow, they could snag a mid-lottery pick. Rumor: Yahoo Sports' Shams Charania followed up Adrian Wojnarowski's top-6 report by confirming the top-2 picks as "locks" in this year's draft, which is the same order Wojnarowski reported: 1. Suns: Deandre Ayton. 2. Kings: Marvin Bagley III. Rumor: After ESPN, Yahoo and other outlets agreed to not have their reporters leak out draft picks before they are announced by NBA commissioner Adam Silver, ESPN'S Adrian Wojnarowski reports the draft order for the top-6 picks. 1. Suns: Deandre Ayton. 2. Kings: Marvin Bagley III; 3. Hawks: Luka Doncic; 4. Jaren Jackson, Jr.; 5. Mavericks: Mo Bamba; 6. Magic: Trae Young. -- Re: If this is indeed how the draft plays out, that would be interesting. Both Ayton and Bagley would be perfect fits. Doncic would be the man in Atlanta now that Dennis Schroder is on the trade block. Memphis is not listed at four because they could be willing to trade down for more assets. Rumor: ESPN's Adrian Wojnarowski reports that the San Antonio Spurs are "willing listeners" for trade proposals regarding Kawhi Leonard. Wojnarowski mentions that the Spurs haven't been heavily-engaging with teams but are taking note of potential deals. The Lakers and Spurs haven't had any talks regarding Leonard, a destination Leonard wants to play for. Buyout: According to ESPN's Chris Haynes, recently acquired by the Brooklyn Nets, Dwight Howard will negotiate a buyout with the team during the free agency period. The trade will be completed by July 6 and once he finalizes a buyout is when Howard can become a free agent. 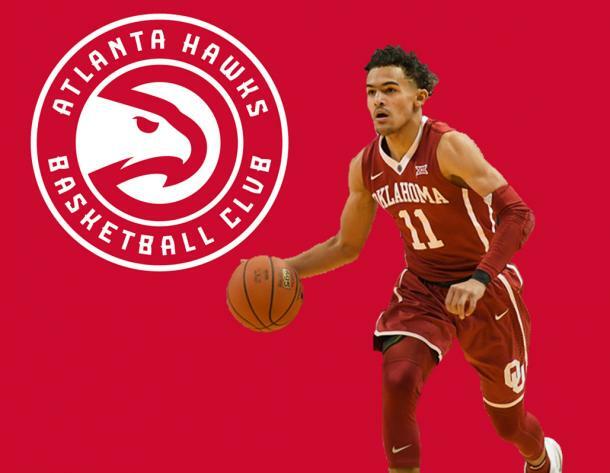 Rumor: According to Chris Mannix of Yahoo Sports, the Hawks are looking to trade to move down in the draft and select Trae Young. Re: Teams wanting to trade for Atlanta's No. 3 pick would need to give up an asset or assets in order for a deal to complement both sides. Trade: ESPN's Adrian Wojnarowski reports that the Los Angeles Lakers will trade their 2019 second round pick (via Bulls) and cash to the Philadelphia 76ers for their No. 39 pick. Rumor: According to The Ringer's Kevin O'Connor, the Dallas Mavericks, Orlando Magic, Chicago Bulls, New York Knicks, and Los Angeles Clippers are looking to trade for the Atlanta Hawks' No. 3 pick to draft Luka Doncic or Mohamed Bamba. O'Connor adds that the Boston Celtics are also looking to get in the mix. Rumor: According to ESPN's Ian Begley, the New York Knicks are looking to move up in the draft from their No. 9 spot to select Mohamed Bamba. Re: The Knicks would have to trade up to the No. 4 or 5 pick, which would be the Grizzlies and Mavericks' pick to select Bamba as that is how high he is projected. Trade: After a relatively quite trade market, the Charlotte Hornets were the first team to a pre draft trade. The Hornets traded center Dwight Howard to the Brooklyn Nets in exchange for Timofey Mozgov, the No. 45 pick in Thursday's draft and a 2021 second-round pick. Charlotte general manager Mitch Kupchak is very familiar with Mozgov as he signed the center to a four-year, $64-million deal with the Lakers. He has two years remaining on his contract. As for Howard, he will be a free agent following the conclusion of the 2018-19 season. Below is where you will find the draft profiles of the top players in this year's draft as well as their highlights. 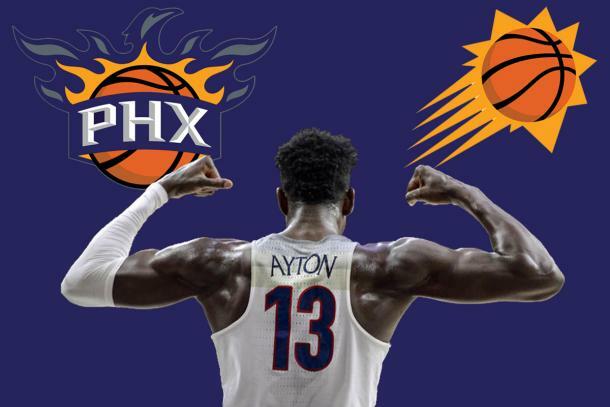 The consensus around the league is that the Phoenix Suns will select center Deandre Ayton with the No. 1 pick. If that indeed does happen, that is where the intrigue really begins. Where will Slovenian star Luka Doncic and Marvin Bagley III go? While playing just one year for the Arizona Wildcats, Ayton averaged 20.1 points, 11.6 rebounds and 1.9 blocks per game. He is regarded as the best center prospect in the draft. Prior to the NBA Draft Combine, guard Luka Doncic was all anyone could talk about. At one point, he was unanimously selected as the No. 1 pick. However, his stock took a hit and seems to have dropped out of the top-3 but still is slated to be a top-5 pick. Doncic averaged 14.5 points, 4.2 rebounds and 4.6 assists this season for Real Madrid in the EuroLeague. Marvin Bagley III is maybe the most versatile and athletic forward/centers in the draft. At 6-foot-11 and 234 pounds, he is an athletic forward that can go damage from both in and outside of the paint with the ability to play some center. Bagley averaged 21.3 points and 11.3 rebounds while shooting 61.1 percent from the field at Duke. In recent weeks, Jaren Jackson Jr.'s stock has risen the most out of any big man in the draft. An awesome workout with the Phoenix Suns put Jackson Jr. on many teams radars. He can defend in space while protecting the rim. On the offensive side of the ball, Jackson Jr. can finish with either hand at the rim and is comfortable shooting outside. While at Michigan State, Jackson Jr. averaged 10.9 points, 5.8 rebounds and three blocks per game. What's not to like about Mo Bamba? Bamba stands at seven feet tall and weighs in at 225 pounds with a 7-foot-10 wingspan. Bamba has the tools to be a monster at both ends on the floor, with the potential to be one of the best rebounding centers at the next level. Bamba averaged 12.9 points, 10.5 rebounds and 3.7 blocks during his lone season at Texas. Michael Porter Jr.'s draft stock has fluctuated a lot of the course of the draft process. Many point to his medical history being the main catalyst for his stock falling. Porter can be the highest-risk, highest reward in the draft. It will be interesting to see which team pulls the trigger and selects the former high school All-American. Widely considered the best point guard in this draft class, Trae Young made his case by being the talk of college basketball for much of his one season at Oklahoma. The 6-2 point guard became the first Division I player in history to lead the nation in points (27.4) and assists (8.7) per game. As defenses began to adjust to his style of play, that is when scouts really began their assessment. Young will jump start any struggling offense and give any franchise a dependable scorer that could develop into a team leader. 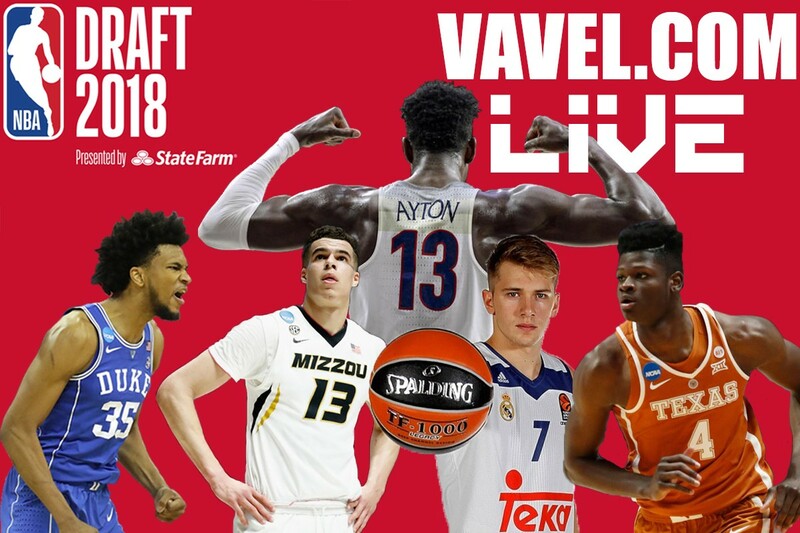 Welcome to VAVEL USA's 2018 NBA Draft Live Coverage. We will have you covered on up-to-date selections, trades, and rumors as they are announced and reported. The draft is on Thursday, June 21 at the Barclays Center in Brooklyn, NY, at 7 p.m. ET. This years draft looks to just as loaded, if not better than last years draft class.